“Cavaradossi is an idealistic man who is willing to pay with his life for what he believes in. It is impossible not to love this role”, states Riccardo Massi. The role of the Roman painter has led him to some of the most prestigious international opera houses, among them the Royal Opera House Covent Garden, the Bavarian State Opera of Munich and the Berlin State Opera, to only name a few. 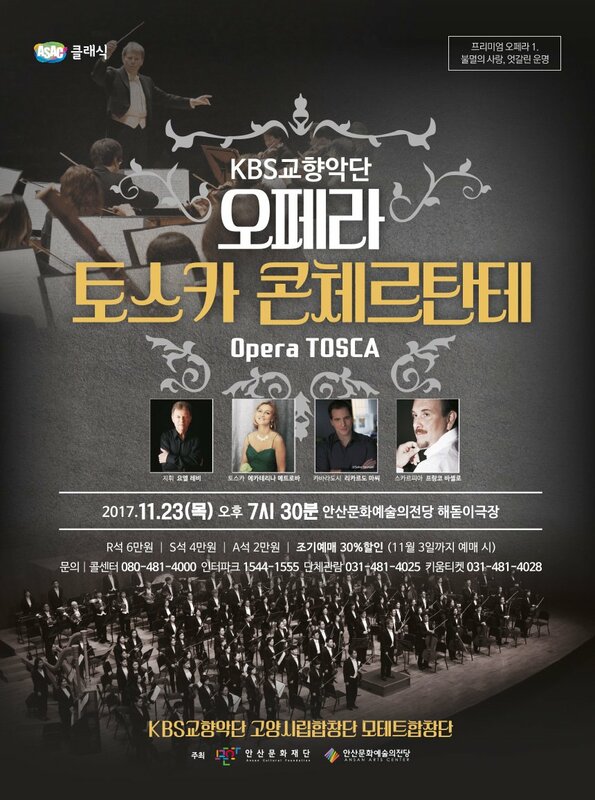 After these performances in South Korea he will repeat the role at the Palm Beach Opera, the Royal Opera House Covent Garden and for his house debut at the Hamburg State Opera. Other performances of the remaining 2017/18 season include Radamès in Aida in a new production at the Sydney Opera House and at the Teatro Colon in Buenos Aires.